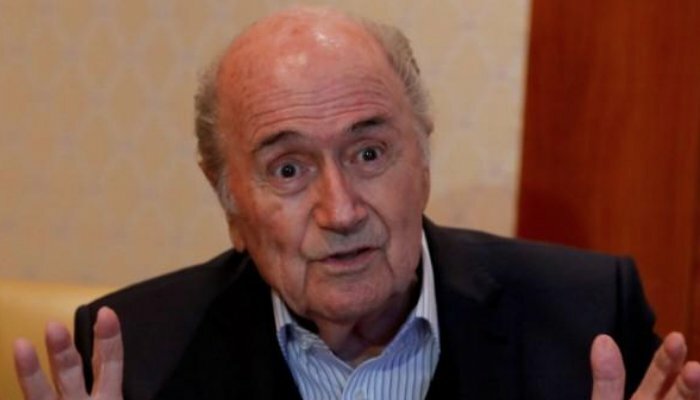 MOSCOW: Former FIFA president Sepp Blatter attended a World Cup match in Moscow on Wednesday, saying the tournament in Russia felt like “my World Cup”, but soccer’s world governing body said his presence did not directly violate his ban from football activities. His appearance at the World Cup in Russia is potentially embarrassing for FIFA and its new head, Gianni Infantino, who has promised to draw a line under FIFA’s corruption problems and clean up the organization. TASS news agency quoted Alexei Sorokin, head of the Russia-2018 organizing committee, as saying he had seen Infantino and Blatter at Moscow’s Luzhniki stadium watching Portugal’s 1-0 win over Morocco. In an interview with Britain’s Channel 4 News, Blatter said he had been invited to the World Cup by the Russian organizing committee and FIFA should respect his right to be at the tournament. FIFA said that Blatter attending Moscow match did not directly constitute a breach of his ban. “Any meetings that could be held are being realized in the framework of his private visit and are not official,” Peskov said when asked if Blatter has met or would meet Putin. The 82-year-old struck a defiant tone in Moscow, describing the criminal probe as “an attack on FIFA” and saying he was still president of the organization. “When I arrived yesterday, I saw it a little bit, it’s my World Cup. How I was received here, television, cameras, people, photographs, and so on,” he said.